The iconic aviator sunglass style can also make a statement as eyeglasses. But read this before you style yours. When it comes to sunglasses, there are few styles more popular than the aviator. It's one of the most iconic and popular sunglass silhouettes of all time. From Tom Cruise to Angelina Jolie, Lenny Kravitz and even Michael Jackson, the Aviator is the timeless favorite of everyone. But it's also a great option for eyeglasses. If you're looking for a bold, fashion-forward style, but don't want to take the chunky plastic route, the aviator could be the style for you. Left: A retro, 70's look. Center: Provocative bold statement without overpowering face. Right: Tinted lenses. Can anyone wear aviators as prescription eyeglasses? You might find it helpful to first get a sense of whether the general aviator silhouette is a natural match for your face shape. Check out our previous blog article on styling perfect aviator sunglasses for your face for some helpful guidance. However, wearing aviators as eyeglasses adds some additional considerations that you should be aware of. Read on to learn how to pull this style off yourself. Who usually finds it easy to wear aviators as eyeglasses? While aviators make excellent sunglasses for most people, as eyeglasses they are a little less forgiving. The fact that it is possible to see your eyes through the lenses, rather than having them obscured by tinted lenses, completely changes how wearable they are. As the lens size is wide, aviators look most balanced when framing large eyes that fill the apertures, and wide-set eyes that appear more balanced within the extra wide frames. 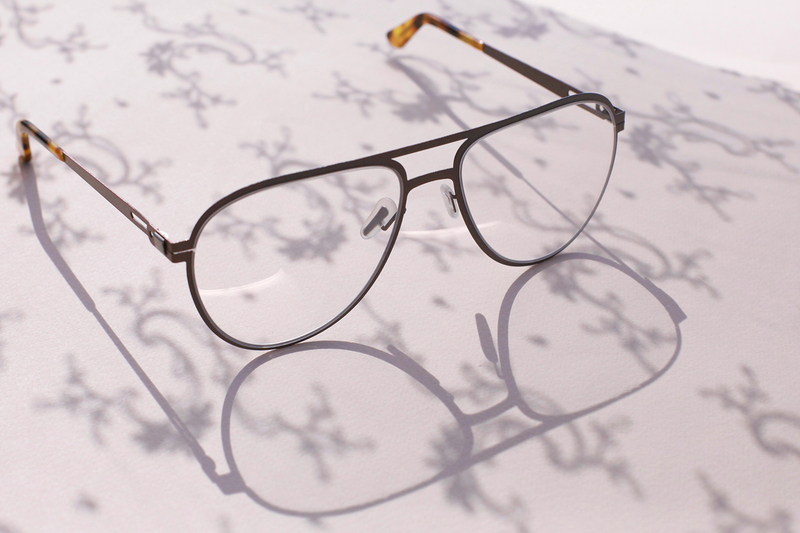 With smooth curves and swooping corners, the aviator frame is great for contrasting and softening the features of people that have more sharp, angular or prominent features. The form of the aviator lens directs attention downwards and out towards the lower corners of the frame. This provides fantastic contrast for anyone with a face that appears wider in the upper half of the face, than it does in the bottom half. For example, if you have a narrow or pointy jawline, or prominent browline, aviators are going to look great on you. Which types of prescriptions do aviators work easiest with? As the lens size is very large, the aviator more naturally suits a weak prescription, as lens thickness and peripheral distortion can stay to a minimum. If your prescription is a standard / single vision prescription, you don't need to worry about the tear drop shape of the lens impacting any specific reading zones. As you may know, the larger your lens is, the thicker it gets. Negative/Minus prescriptions in particular get thicker at the outside edges of the lens, which can look unsightly, especially with metal frame styles. The large degree of wrap (base curve) common within most aviator styles can present a problem if you have a very strong astigmatism. Unless your optical positioning is very precisely calibrated (which most stock eyewear vendors don't acheive), you could experience peripheral distortion and/or disorientation. Positive prescriptions often magnify your eyes and make your eyes look larger to other people. The larger the lens, the more prominent this magnification effect can be. With the aviator's signature large lens, people with positive presciptions could experience undesirable levels of magnification. For a balanced look, you want your eyes roughly in the horizontal center third of the lens. If your eyes are set quite close together, glasses with wide lenses create the optical illusion of your eyes being squashed in the inner corners, which makes you appear cross eyed. With a very wide lens that droops down to the outside bottom corners, aviators are possibly the least forgiving style of all for you. Although the aviator does offer a nice and large total lens area and good overall height, the trademark broad swoop of the lens away from the nose and towards the cheeks actually cuts right through the reading and middle distance "corridor" of a progressive lens, impairing versatility and performance. Have a "low nose bridge"
Common among people of Asian origin and African Americans, having a lower nose bridge can cause a problem as the large surface area of the aviator frame may press against the face and eyelashes. Whether or not you may have a low nose bridge, you may find the deep swoop of the aviator frame can sit on your cheeks, with the whole frame sometimes lifting in the air when you smile. Including the correct base curve to match your prescription, not the predefined wrap of most stock aviators that will not match your prescription lens. Your face scan gives us precise 3D measurements of the placement of your eyes, from which we fine tune the refraction strength and angles of your lenses. This significantly reduces any distortion or disorientation that could be experienced by people with strong prescriptions wearing this large lens style. The Topology app allows you to fine tune width, height and even vertical "drop" positioning, enabling you to really dial-in the perfect aesthetic to match your facial proportions. Sculpted from scratch for a perfect match to any nose shape. Our system automatically knows if your design is too close to your cheeks, and adjusts the "pantoscopic tilt" angle accordingly. This allows you to acheive the amount of coverage you want, without worrying about smudging makeup or frames lifting when you smile. If you've been tempted to try an aviator style for your next prescription glasses, now is the time to give it a try. 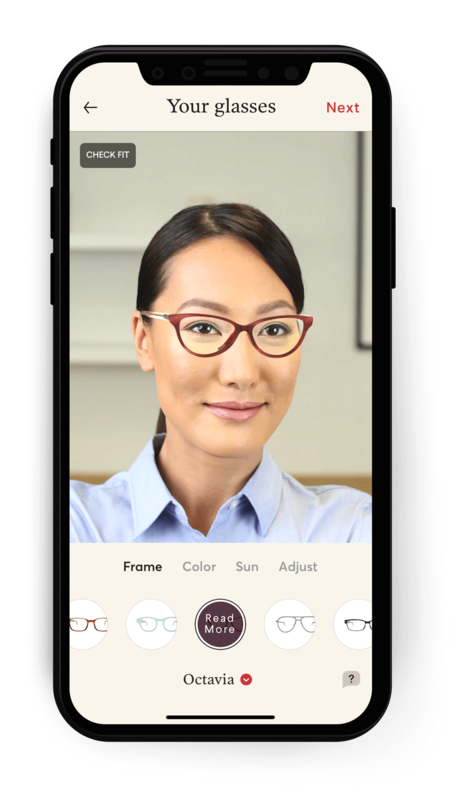 Download the free Topology iPhone app to see how the Presdio looks on you and explore the available colors and lenses. When you've dialled in the perfect design, order a $10 trial to receive a prototype by mail and see how it feels in real life.